Do you smell that yummy meal on the stove that I am cooking? Ok, so I may not cook as well as Julia Child, but we DO share a first name and a love of food! 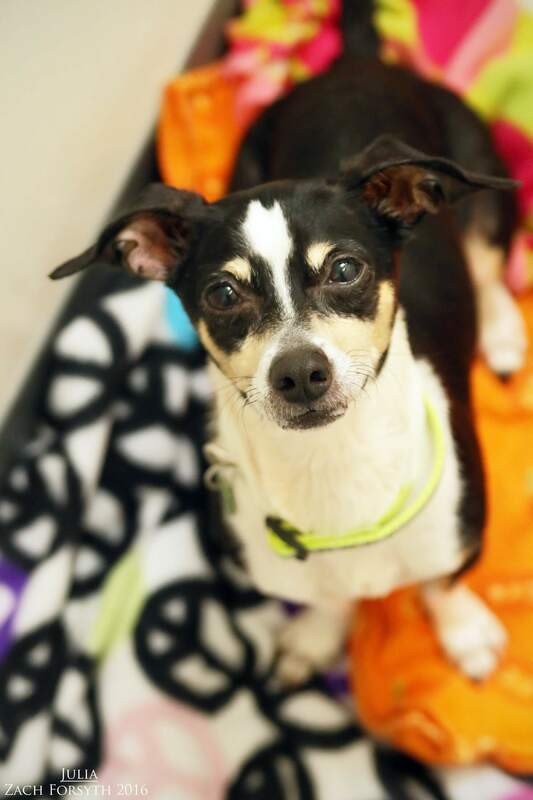 My name is Julia and I am a cute little 2 year old Chihuahua mix. Hailing all the way from Texas, my Southern cooking is not nearly as sweet and delicious as my personality! I am lovely lady who enjoys hanging with my my doggy pals, kids over the age of 10, and even those furry felines as well! Are you hungry for some of my lovin’ and cuddles? Then fill out an application today, so we can meet! I come to you spayed, vaccinated, and micro-chipped with an adoption fee of $250.